Preschool Prep Company’s award winning DVDs and books are used homes across America. Now your child can view these videos and books on a computer, smart phone or tablet anywhere in the world. 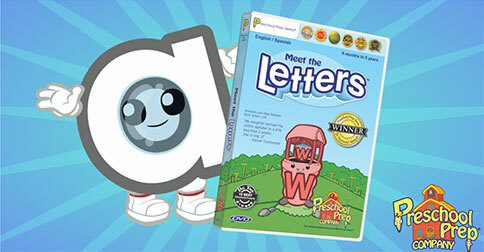 First your child will learn English Letters, Numbers, Shapes, and Colors. Next they will learn to how to read! Meet the Sight Words will teach your child to memorize the English words that can’t be sounded out. Meet the Phonics will teach them to sound out the words that can be sounded out. Next, they can practice what they have learned with our downloadable easy reader books! Preschool Prep Company products have been used in thousands of schools and now you can use them anywhere in the world in your own home! You will be amazed at what your little one can learn! Please fill out the form given below in case of any queries.